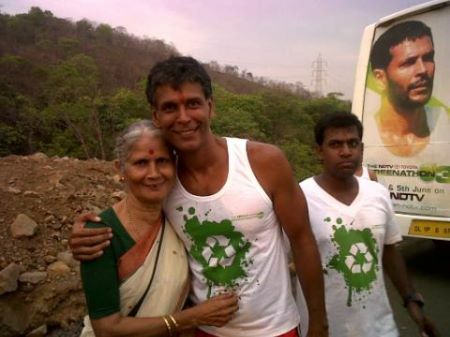 Milind Soman is someone who has successfully transformed himself from poster boy of Indian modelling world to poster boy of Indian running sports. His run from Delhi to Mumbai is a great initiative not just to promote go green , but also a genuine way to explore India. 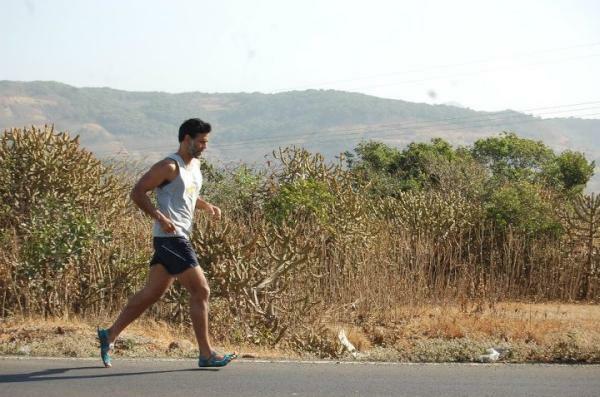 I started following @ milindrunning on twitter few days back, when I learned about his run from Delhi to Mumbai. a grueling run over 1300 kms, minus the glam sham and branding by marketers. It attracted me for the sheer grit and determination from Milind and his team to make this run possible. How many of us opt for running as a sport – not many. Though many of us know about how running benefits our fitness and is good for us, but we don’t find time or run in the gym on treadmill. I think what Milind has done by running from Delhi to Mumbai is inspired many of us to seriously consider this as one of the choice for healthy living. Kudos to Milind and NDTV and I really hope I start running outside and not confined to my treadmill. We often complain about worsening traffic situation in Mumbai, but not do much about it. As a part of our daily commute to office we realized that a larger part of our daily traffic troubles could be owing to heavy trucks entering city premises during peak traffic hours. I took this initiative of approaching traffic police, and with help of CNN IBN, did this episode to highlight the problem and try to resolve it. Have received good response form people, but yet to hear from the traffic CP on how they intend to implement a ban on trucks entering city. Few days back i had a discussion with my colleagues on what is their passion in life. A simple question for some, confusing for many. A lot of them had answers like – singing, working, travelling, meeting people, etc. Nothing wrong in that. Some of them were able to define why – singing or travel is their passion, some could not. A very identifiable situation i must say. My next question was are they enjoying what they are doing today, and is it in line with their passion. Many said yes, some said no. In a world where we have infinite choices to make, it is extremely important to know early on what are your passions and are your career choices in sync with your passions. Let me draw upon a small example from my own upbringing. I grew up in a town called Indore, and went on to pursue my Bachelors in Science (B.Sc.) purely because at that point – arts, commerce was not considered to be a brilliant mind’s first choice. 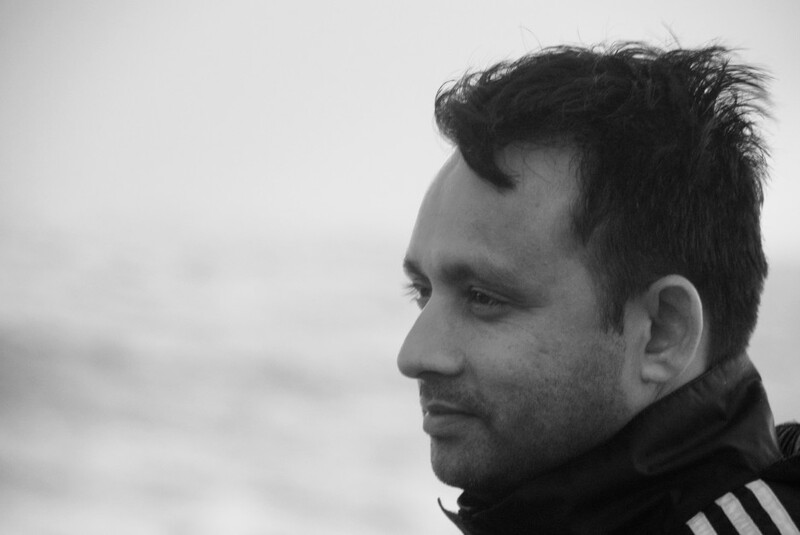 To define that era – i was following a herd mentality. I studied/crammed things like “Bolzanowistras Theorem” (even Google had problems searching for this term) as preparation for my exams and somehow cleared my three years of torture by physics/mathematics. Am I saying these were wasted years of my life – probably yes. Reason being I was not following my passion. I could have pursued something which was my passion, which I am/was good at. Which brings me to the next question – Did I knew what was my passion ? I believe there are still many similar stories around all of us, where young minds don’t know what are their passions in life. They grow by getting into the rut early on, which kills the sapling of passion. I think our education system is good till primary level, but tends to compartmentalize things as we move to a secondary education system, and this works towards killing your passion. I sense as a society we have a big role to play in helping identify passion for people. There are career guidance course, but I haven’t heard about a passion identification course or a framework (course looks too commercialized term). I do not recall any such framework being actively promoted by any of the schools at a secondary stage. Reason I say secondary because till primary stage your fundamentals of education are a must. Its like a stem, which starts branching out around secondary education. If we know our passions well, we would be better off as a society and as a economy. We would probably have more innovations coming out of this nation. We would have a larger contribution towards driving change and not following rules. We must not forget creativity and innovation work well when mind is following your heart and not the other way. Your heart relates with your passion, your mind relates with your profession. As for me, I know that I started following my passion only around my post graduation days, and steered towards the world of communication & marketing. I still believe that there are many other passions like Travel and photography which I am not able to pursue now, but I am sure i will sooner than later.